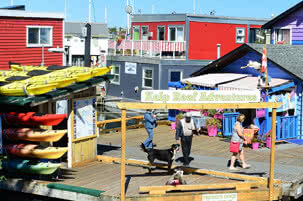 Despite its small size (just over 7 km2) Esquimalt possesses all the amenities you would expect to find in a city. This is mostly because this municipality is limited in size by its geography – it’s practically an island! Only a strip of land connects Esquimalt and View Royal. Of course this means Esquimalt has an abundance of beaches, and more waterside parks than you can shake a stick at! The Gorge Waterway, a long fingerlike inlet is the site of several parks, and trails graced with benches for the weary are found along much of its length. Once terribly degraded and polluted, this area has been reclaimed, thanks to a lot of hard work from several groups under the umbrella of the Gorge Waterway Action Society, a registered charity dedicated to the preservation and enhancement of the Gorge Waterway. June 8, 2008 saw the official opening of the Gorge Waterway Discovery Centre, located in Esquimalt Gorge Park in the old concession stand. Here you’ll find interactive exhibits like a touch tank and an aquarium filled with local creatures from the waterway. The centre is staffed by biologists, students and volunteers, and offers a unique hands-on experience for all. Not every park in Esquimalt is waterfront; Highrock Park, also called Cairn Park is the highest point of land in the municipality. 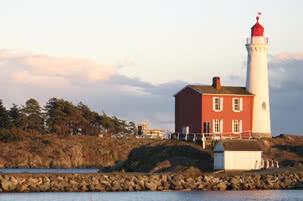 Here you can stroll the paved trails, and enjoy spectacular views of Esquimalt, View Royal, Victoria and beyond. Although Esquimalt is geographically small, it certainly provides a variety of beautiful parks, where residents and visitors alike can appreciate our natural surroundings. 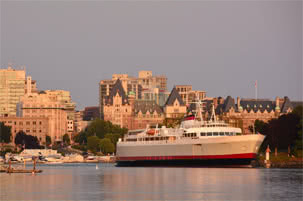 Proximity to the city of Victoria, excellent climate, and small town atmosphere combine to make Esquimalt a great place to live!